A seventeen-strong team of barristers from Garden Court Chambers have been recognised for their outstanding achievement following their role representing 77 families at the Hillsborough inquests. 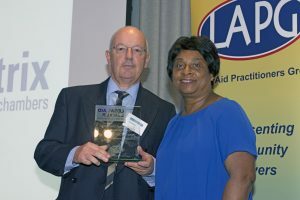 At last night’s Legal Aid Lawyer of the Year Awards (LALYs) in London, the team received the Outstanding Achievement Award from Baroness Doreen Lawrence, along with lawyers from ten other teams that represented families at the inquests. On 25 April this year, the Hillsborough inquests concluded that 96 people who died as a result of the events at Hillsborough on 15 April 1989 were unlawfully killed. In answering 14 questions set by the coroner, Sir John Goldring, the nine-person jury cleared Liverpool supporters of any blame for the disaster. They also concluded that there were errors and omissions in the emergency response and planning from South Yorkshire Police and South Yorkshire Metropolitan Ambulance Service. Trevor Hicks, President of the Hillsborough Family Support Group, said: "The lawyers who represented the Hillsborough families have transformed my view of lawyers. They fully deserve the Outstanding Achievement Award for the way they handled a complex task with great competence and sensitivity. They worked extremely well with us and with each other. I would like to say that we are extremely grateful to them for a good job very well done." Members of the Garden Court Chambers Hillsborough team have been involved in advising the families since 2012. The Garden Court Chambers team comprised: Patrick Roche, Terry Munyard, Martin Huseyin, Peter Wilcock QC, Christopher Williams, Judy Khan QC, Stephen Simblet, Alison Munroe, Rajiv Menon QC, Leslie Thomas QC, Sean Horstead, Emma Favata, Brenda Campbell, Anna Morris, Kristen Heaven, James Mehigan and Tom Stoate. Now in their 14th year, the LALYs are run on a not-for-profit basis by the Legal Aid Practitioners Group. 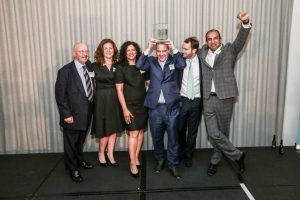 At the awards, a further ten legal teams were recognised for their outstanding achievement in relation to the Hillsborough inquest: Bindmans, Birnberg Peirce (instructing Garden Court Chambers), Broudie Jackson Canter, Butcher & Barlow, EAD Solicitors, Doughty Street Chambers, Garden Court North, 1 Gray's Inn Square, Harrison Bundey (instructing Terry Munyard of Garden Court Chambers), Mansfield Chambers and 4 Paper Buildings.